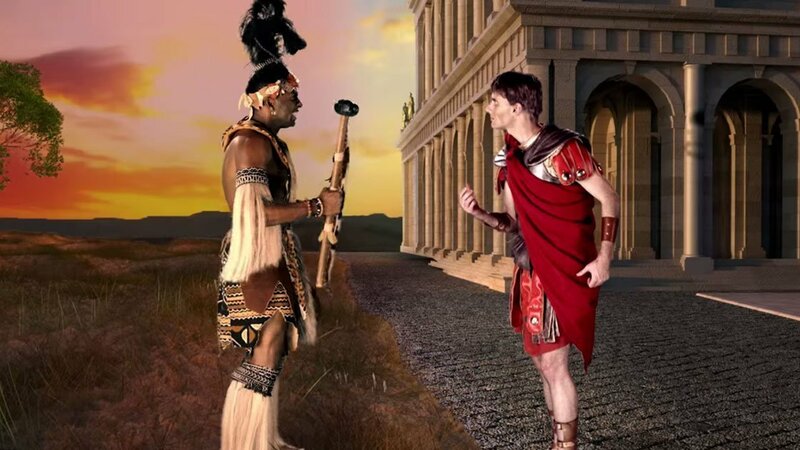 This week's Epic Rap Battles of History pits two of the great commanders against each other, Shaka Zulu and Julius Caesar. Watch above as the two go at it. For a little background, Shake Zulu was a warrior and leader of the original Zulu nation in Southern Africa who lived from 1816 to 1828. Caesar lived from 100 to 44 BC, and served as dictator of the Roman Republic. Spoiler alert: In real life, both of these historic figures ruled until they were assassinated. As usual, the guys from ERB put together some clever lines as the two go back and forth in a truly epic rap battle. For more Epic Rap Battles of History, including the dates for their upcoming tour, check out their Zumic artist page.